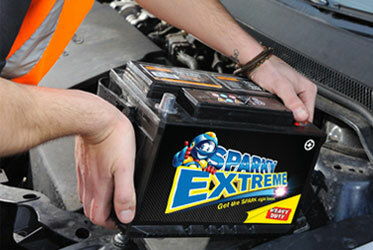 Our reconditioned car batteries, called ‘RENEW™’ batteries are equal in power but almost half the price of a new battery. 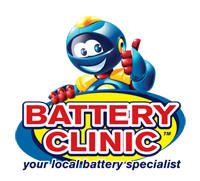 By using our high-tech equipment, well trained and experienced staff, we are able to offer a reliable reconditioned battery sold with a 6 months Warranty! 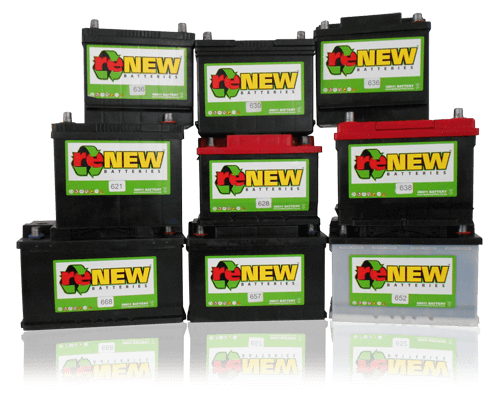 Our reconditioned ‘Renew™’ batteries are batteries that have undergone a rigorous and highly controlled reconditioning process which delivers a reliable and serviceable second hand battery. 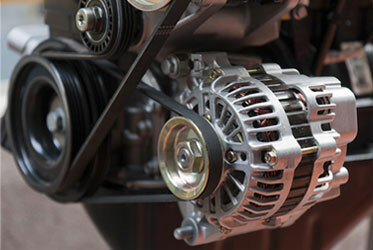 So reliable in fact, that Renew™ batteries are sold with a 6 month Warranty subject to our standard and free Auto Electrical test when fitting the battery. Renew™ batteries have to pass an industry standard load test at final stage of the reconditioning process which is the same test applied to new batteries in order to be approved and to carry our trade mark label. Needless to say, most batteries will not make it through our stringent quality control regime, but those that do we sell with confidence and pride. So what is a Renew™ battery? It is a second hand battery, but one that has passed every every stage of our reconditioning process, and finally a load test. 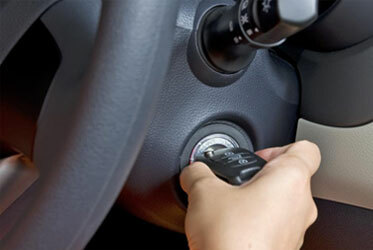 The end product is therefore a very good reconditioned battery sold as an economical alternative to our new batteries. 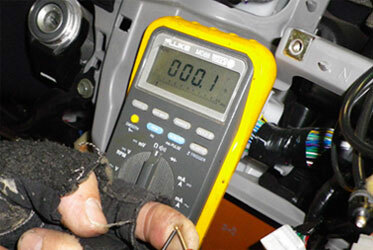 Your battery will be fitted by a Franchise trained specialist and will include our standard free auto electrical test. 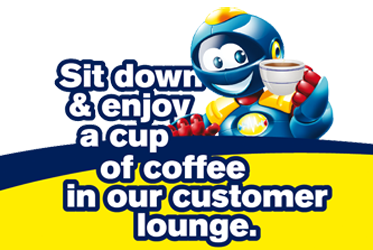 Our expert personnel will also point out any problems they might find and advise you on the best course of action, and that’s for free. Why? Because we derive great pleasure in sharing and applying our knowledge for your benefit, and we consider it a privilege to do so. 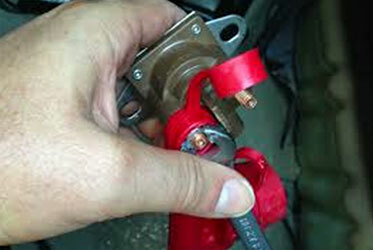 Experience our professional Sparky Service with a smile at a Battery Clinic near you.